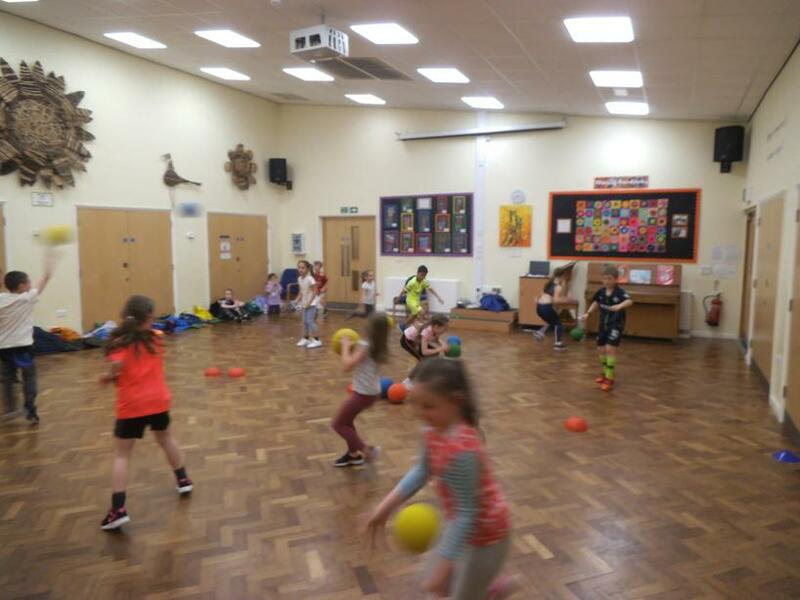 On Tuesday 2nd April a team of six KS2 children took part in the South Ribble quicksticks tournament at Walton-le-Dale High School. 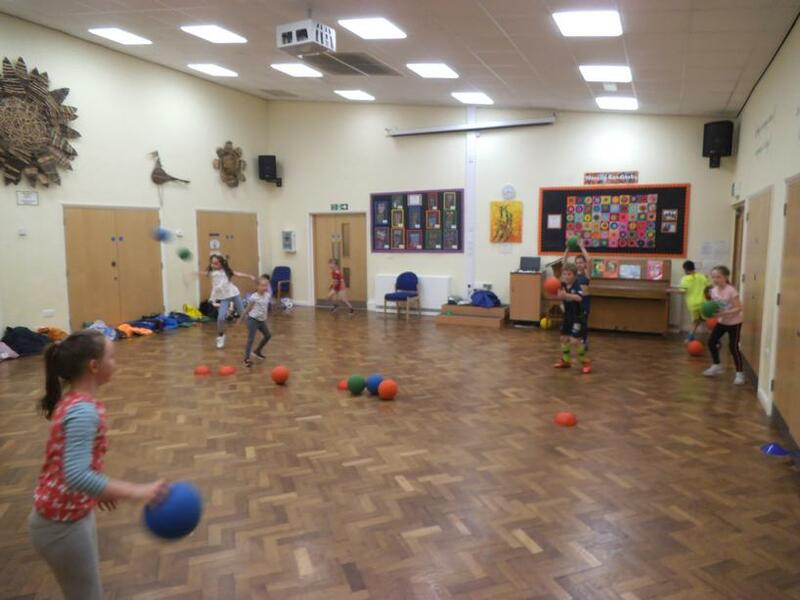 The children worked really hard as a team and tried hard in all of their games. 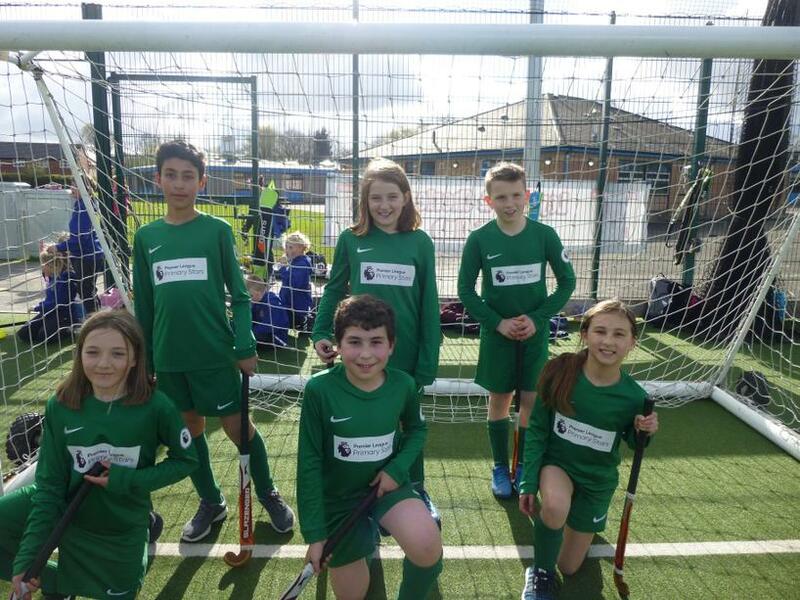 They had very little experience of hockey (especially on astroturf) and grew in confidence as we got further into the tournament, we saved our best performance for the final game, earning a 1-1 draw. This year's Dance from the heart event is quickly approaching, this years theme is space. 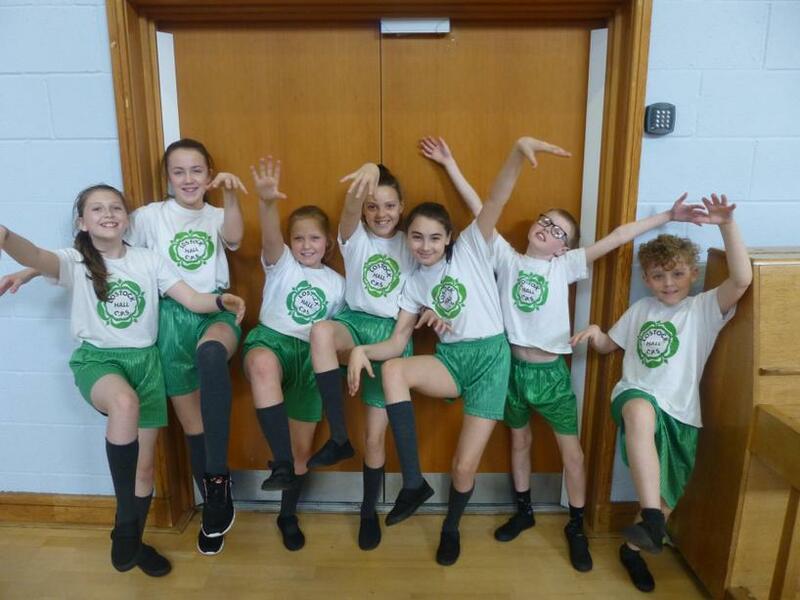 In preparation for the event a group of Year 6 leaders were selected to help the whole school to learn the dance. 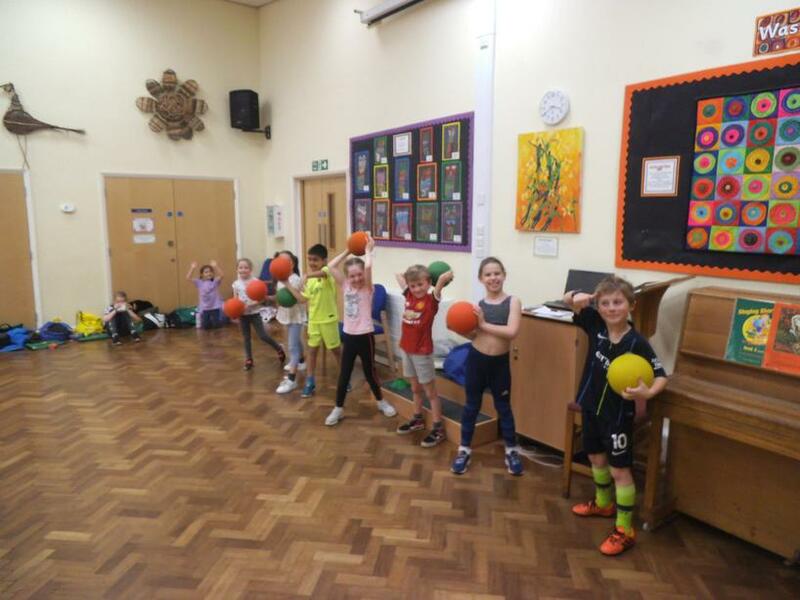 The leaders attended an afternoon of training at Cuerden Church School and were much more competent than Miss Bell when performing the routine! 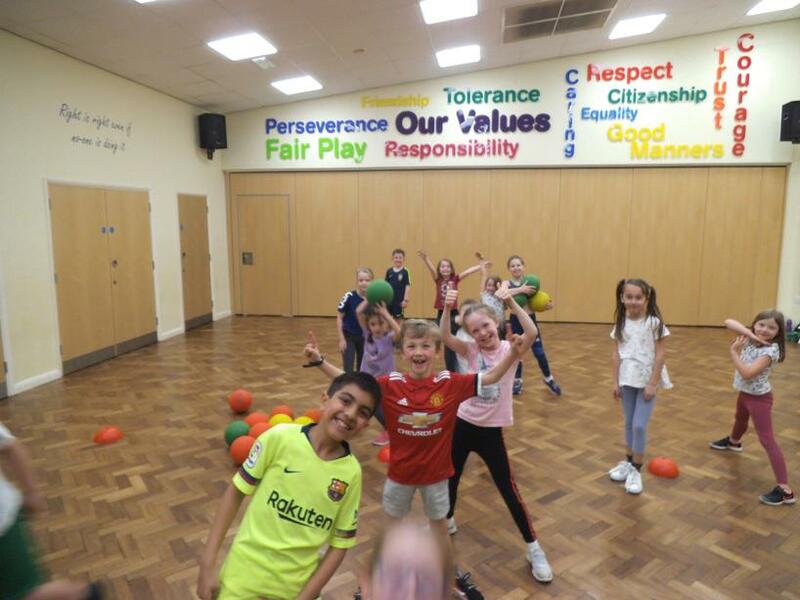 We look forward to seeing the leaders assisting the younger children. 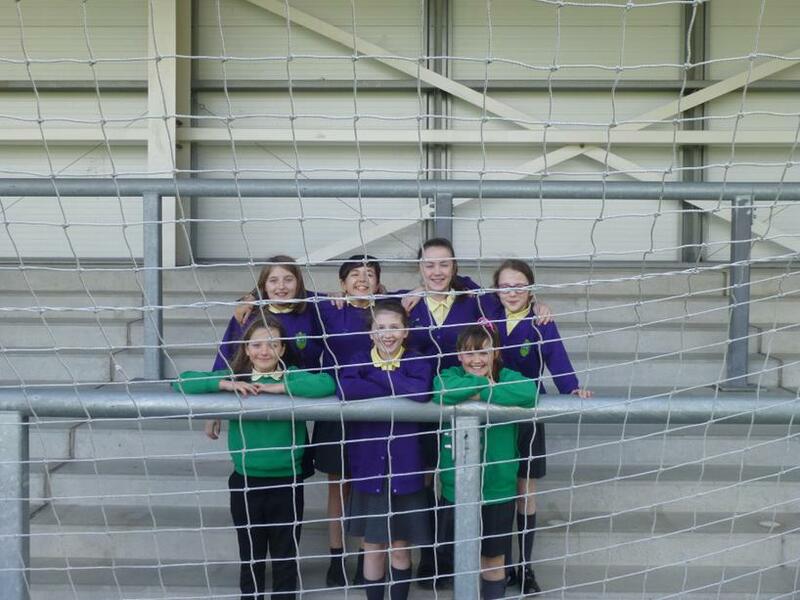 On Wednesday 27th March the girls football team were given a real treat. 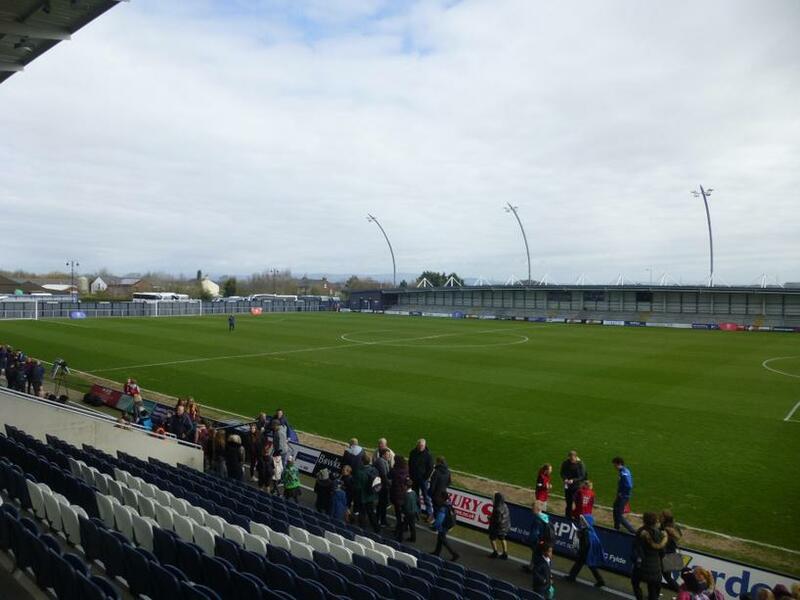 They were invited to spectate at the National Schools Cup Final at Mill Farm Sport Village, home to AFC Fylde. 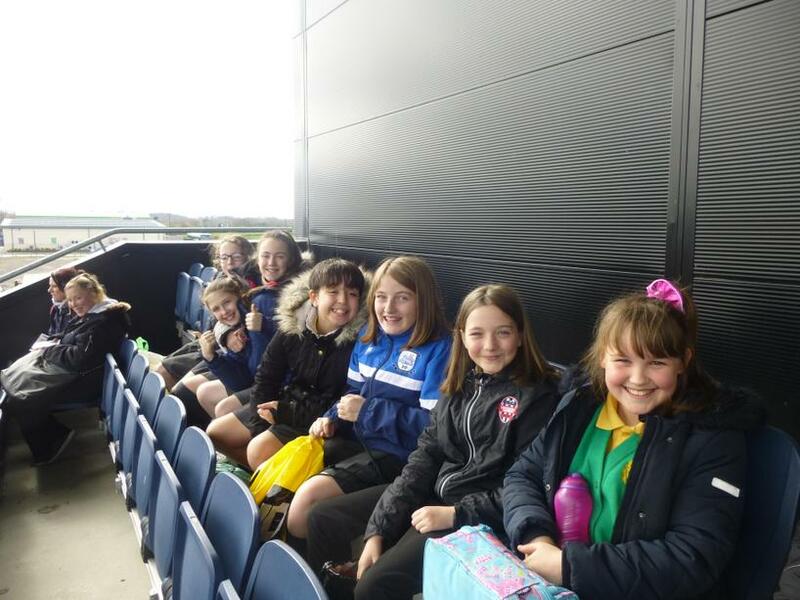 We had a lovely afternoon watching some inspirational performances from both teams. In the end the team from Thomas Telford School were crowned National Champions, much to the delight of their very loud supports. 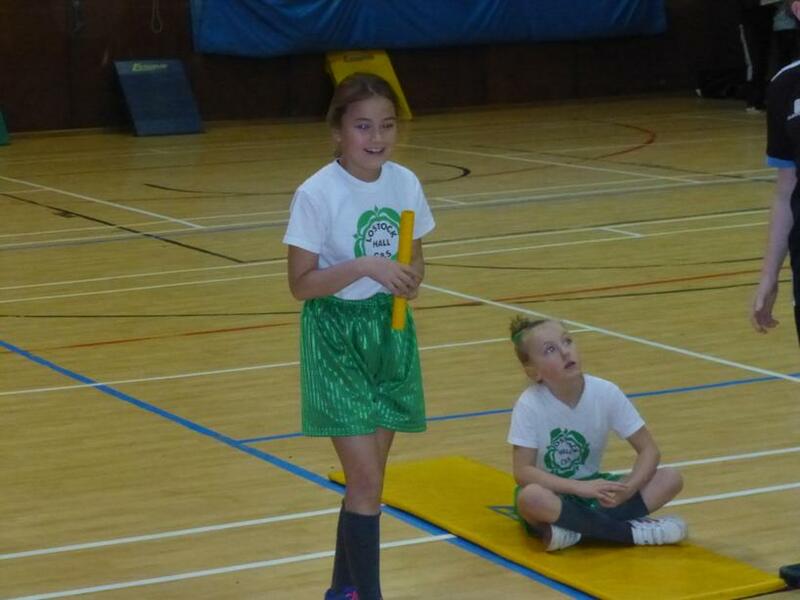 The girls behaved impeccably and were, once again, a credit to the school! 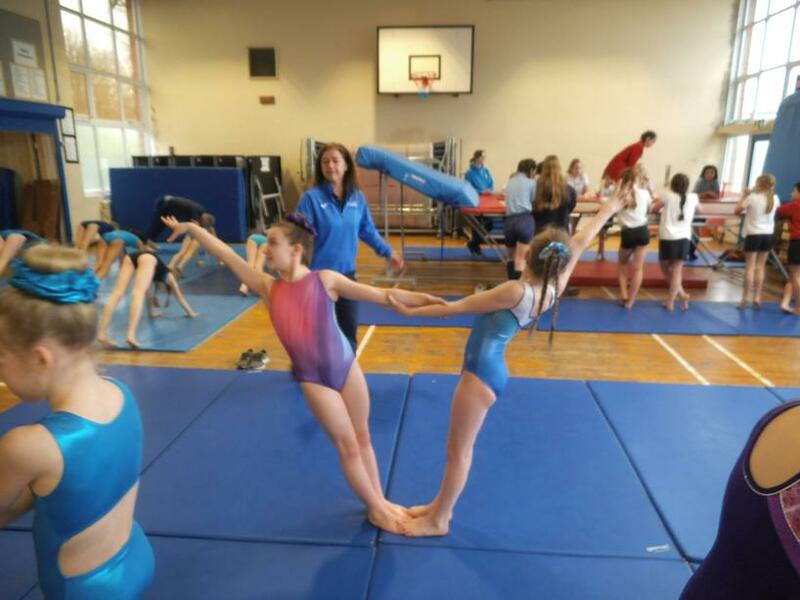 On Tuesday 19th Match a team of 6 gymnasts from Years 3 and 4 took part in a festival of gymnastics at Walton-le-Dale High School. 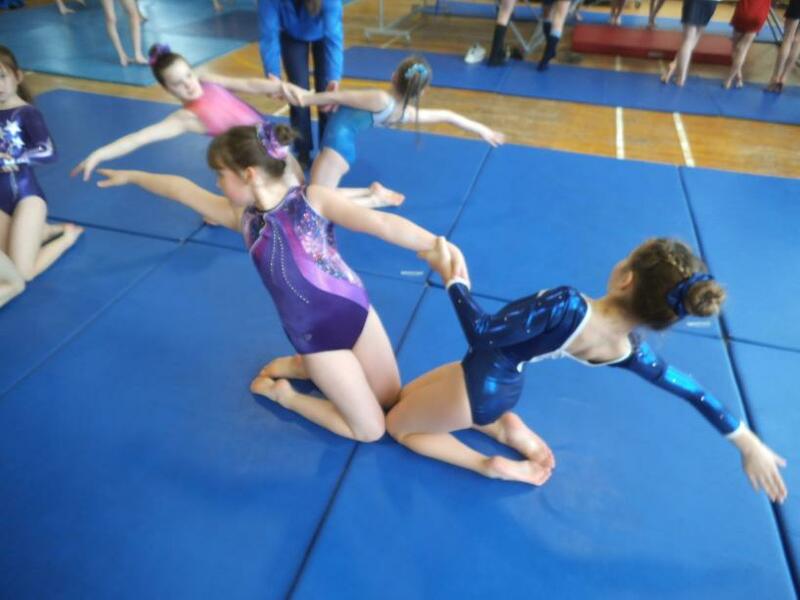 The girls were able to take part in a range of different gymnastics related challenged including trampolining, vaulting and balancing. The final part of the morning was a display of routines from each of the schools in attendance. 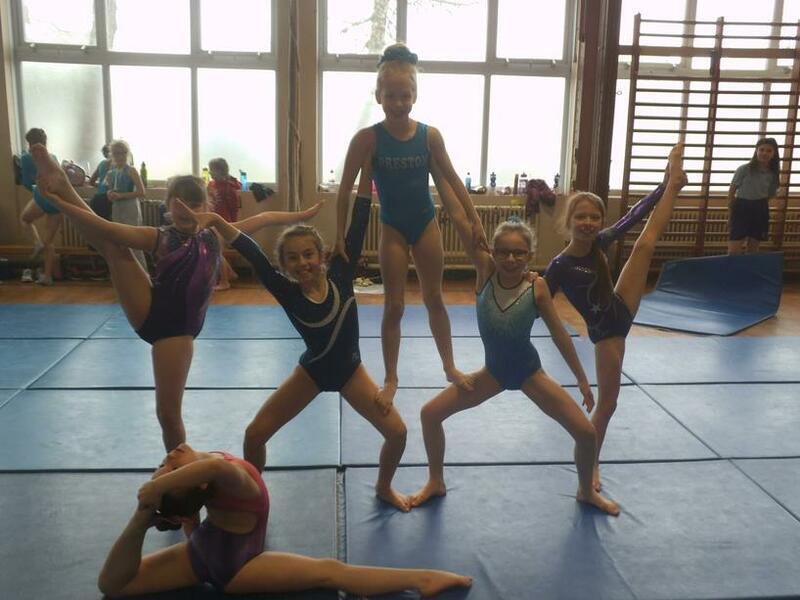 Our girls performed brilliantly and some of the skills on show were incredible! 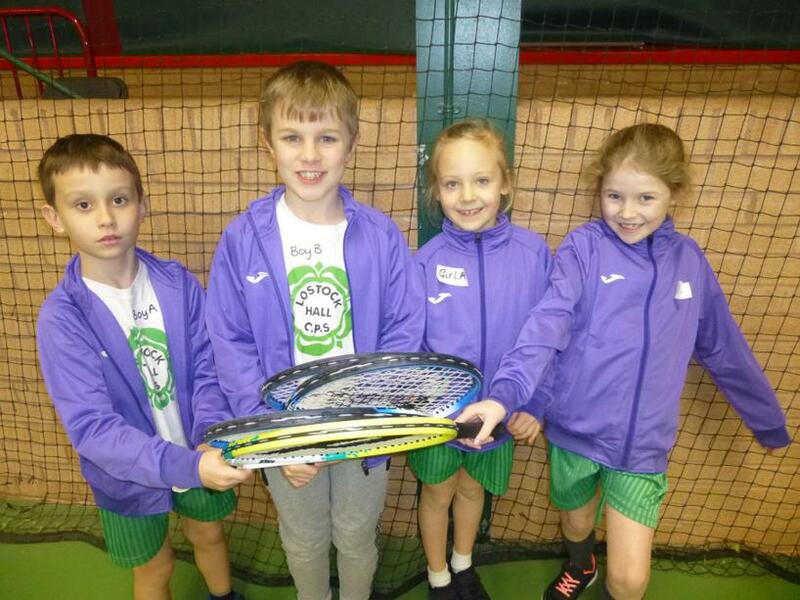 On Friday 1st March four pupils from Years 3 and 4 took part in the South Ribble School Games Tennis Event. 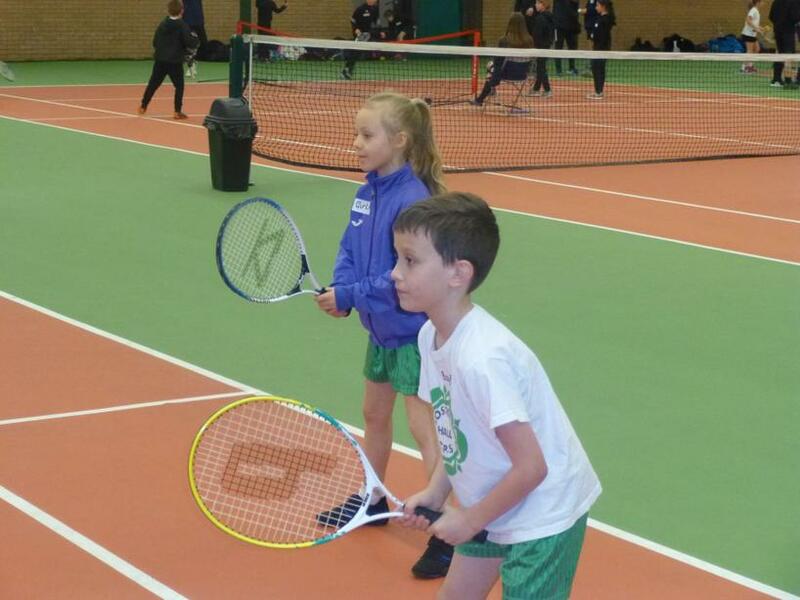 The event took place at South Ribble Tennis Centre and in all 19 teams competed. 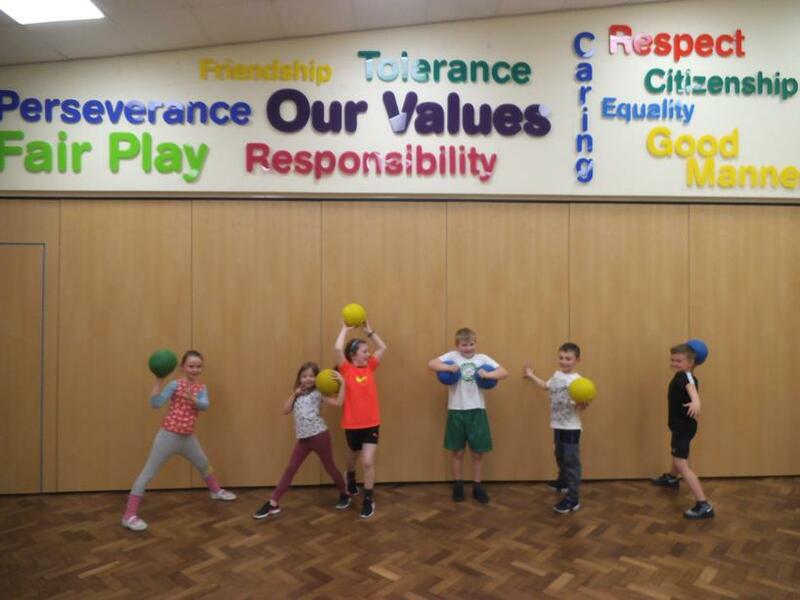 The children played well and were excellent representatives of our school, displaying our values of sportsmanship and determination throughout. 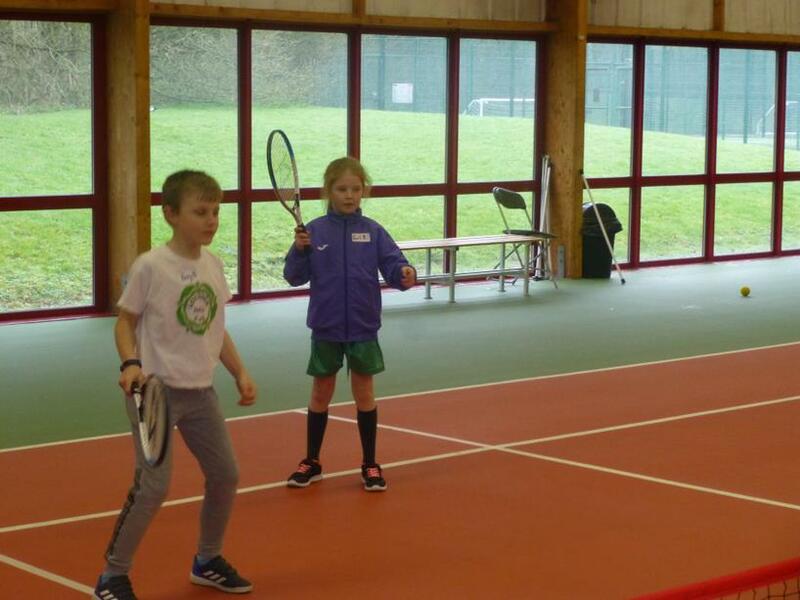 Unfortunately we missed out on a place in the semi-finals but had a fantastic afternoon of tennis. 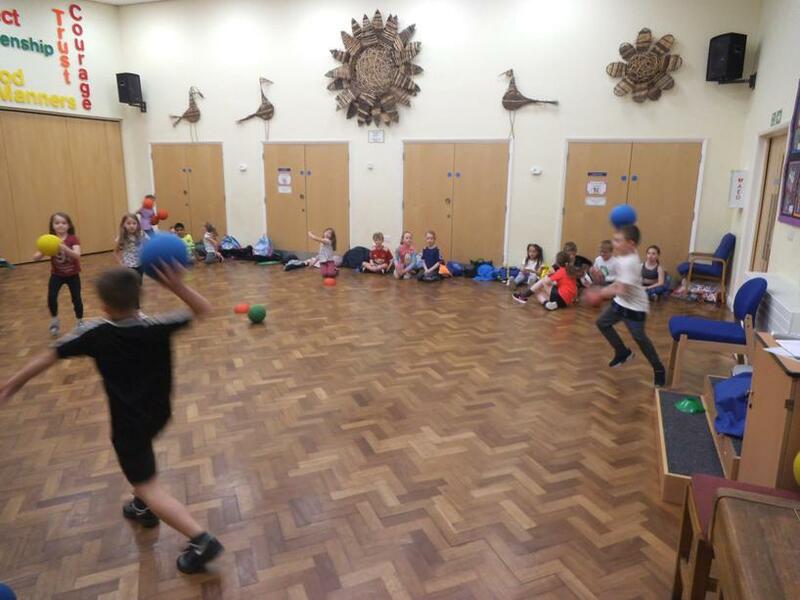 Well done to all four children who took part. 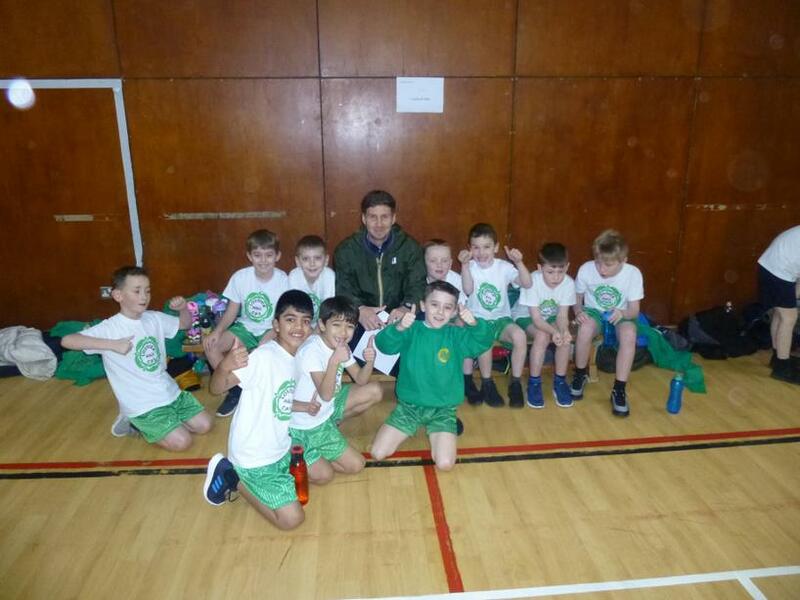 On Tuesday 15th January 20 children from Years 3 and 4 competed in a sports hall athletics competition at Lostock Hall Academy. 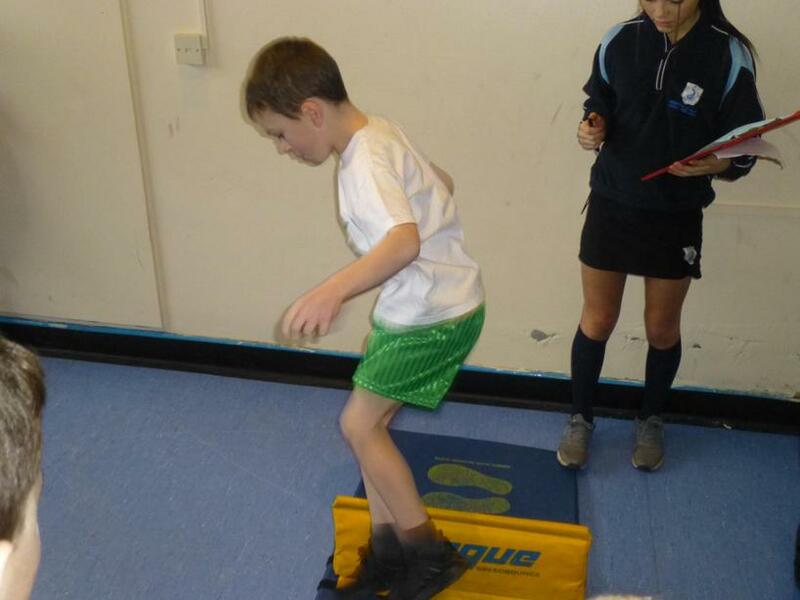 The children took part in a range of track and field events including; speed bounce, javelin, standing long jump, standing triple jump and a range of relay races. 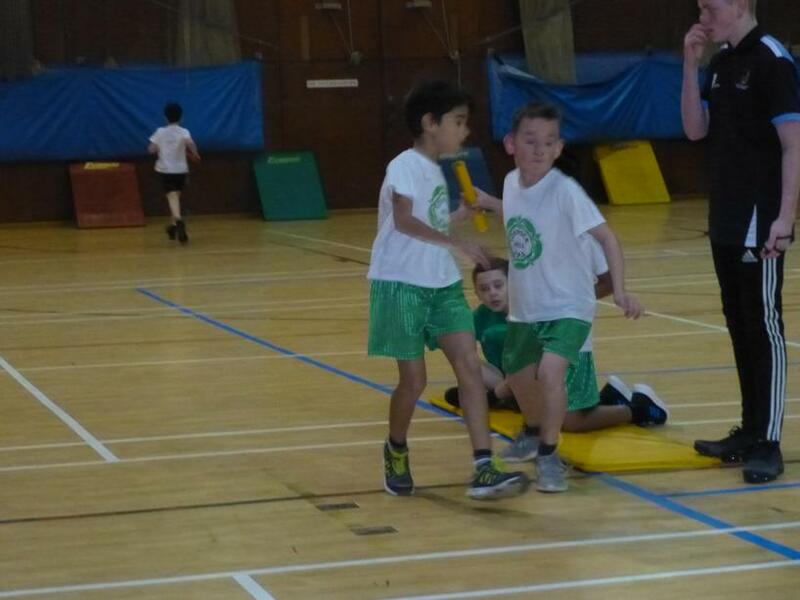 The children showed high levels of determination, whilst remembering that good sportsmanship is always important. 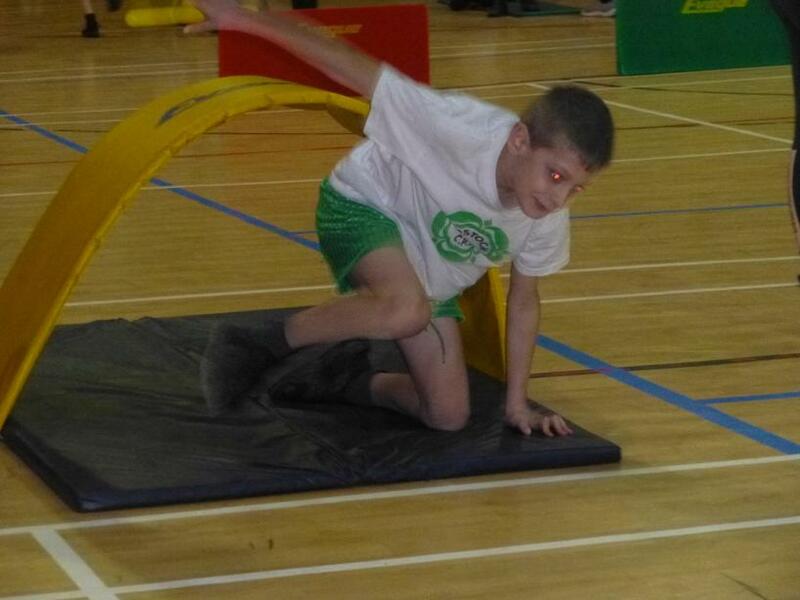 Some impressive performances were on display as schools battled it out in 3 different heats. 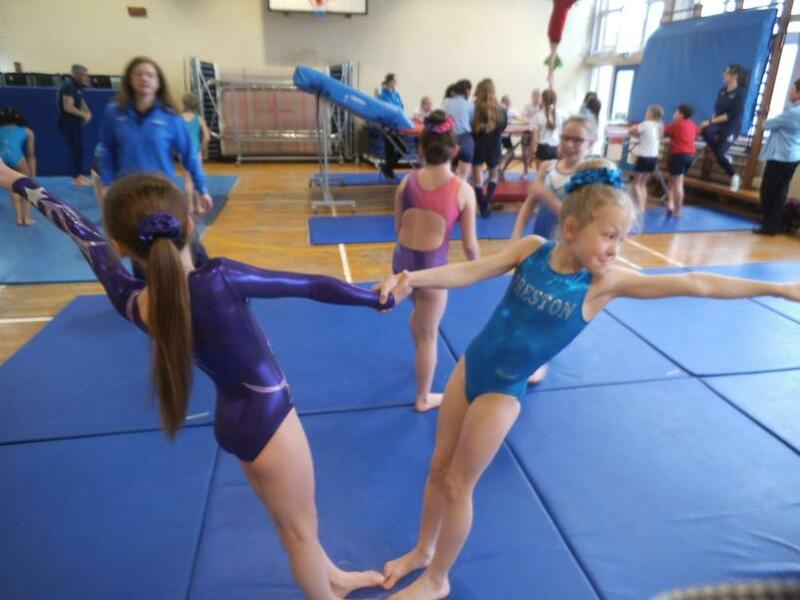 Once the competition was over it was time for the, all important, results. 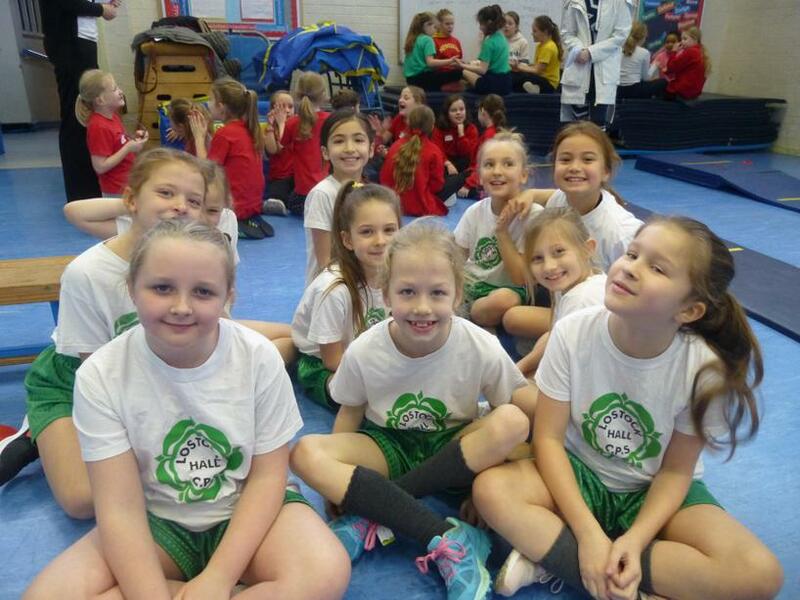 We are pleased to say that we finished a very impressive second out of 14 schools from South Ribble. 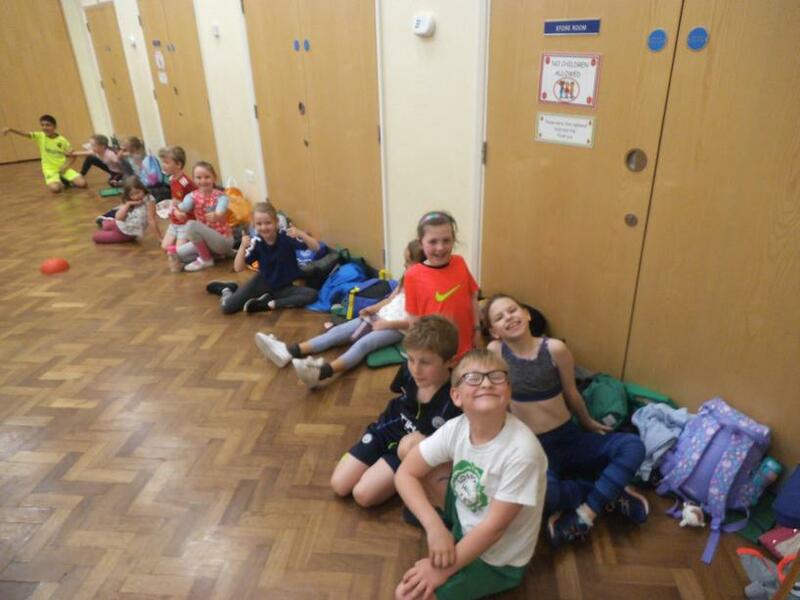 Well done to all of our athletes, you did the school proud.